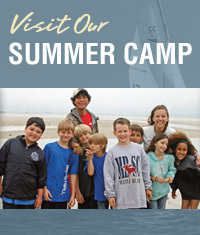 You are invited to the 19th Annual Cape Cod Sea Camps Leadership Weekend. It will be held here on the grounds of the Cape Cod Sea Camps from Friday, May 1st to Sunday, May 3rd, 2015. The purpose of this weekend remains constant: to give leaders some time “on-Cape” before arriving at a later date with a group and to offer new learning opportunities about Cape Cod. The weekend provides time with your leadership team, the Cape Cod Sea Camps staff, other like-minded educators and encourages you to feel more at home here on Cape Cod and at the Cape Cod Sea Camps. We will begin the weekend Friday night with dinner in our charming dining hall and then gather in the Art Center. Garran Peterson, Cape Cod Sea Camps Associate Director of Group Rentals will welcome us. Friday night opens with a Bang! Dr Heather Goldstone, Science Editor and Host of Living Lab will be our guest speaker. The Living Lab program is heard on the NPR radio station. Besides having a Ph.D in ocean science from MIT and WHOI, Dr Goldstone specializes on the scientific community and the key environmental issues on Cape Cod. What she has to tell us will be quite interesting. We then will travel to Wellfleet and meet Derrick Alcott, Biologist. Derrick will introduce us to the largest restoration project in America – the Herring River Restoration Project. How exciting to return the Herring River to its’ natural tidal flow! And what a learning opportunity this is for us and your students. Here is another marsh to study. One more stop in Wellfleet before we break – that is to meet an Oysterman at Wellfleet Harbor. We will get an inside look at the incredibly successful Wellfleet oyster farms. Commercial aquaculture is such a powerful subject. I am happy to offer this chance to speak to an actual oyster fisherman. Now there will be some time off in the afternoon for you to pursue your own special interests. A cocktail hour is scheduled at 6pm with a special dinner served to us in the Art Center at 7pm. Sunday morning gives you an opportunity to go on a Marine Life Cruise hosted by our friends from Wellfleet Bay Wildlife Sanctuary. This trip will leave Sesuit Harbor in Dennis at 9:30am and return by 11:30 – allowing you a timely departure for your home from Cape Cod. Note here the different location of this Marine Life Cruise! NOT departing from Wellfleet! So it will be new for all of us. Jessica McManus, Naturalist will be one of our guides on board . It is always an adventure to haul up a fish trap, do a bay scallop drag or a plankton tow and see the results. We’ll bird watch, hear some local history and even search for seals. I just love being on the water with staff from Wellfleet Audubon. Bring your binoculars! As always, this weekend is free of charge and includes 5 meals, accommodations here on the grounds of the Cape Cod Sea Camps and also all program costs. If you prefer accommodations at a local “B & B” just let me know and I will send you a local directory. Keep in mind that you can be a part of any or all scheduled events. There is no need for you to attend everything or anything though most people who come participant in the whole program. The weekend is meant to be used by you in the way that best suits YOUR needs. Maybe you and your staff just want to walk the beach for two days! That is fine, too. I will note, though, that it is VERY HELPFUL to know meal numbers so our chef, Brian Holmes, can prepare properly and efficiently. Remember, too, that things are always subject to change. Along with Garran Peterson there will be Brian, Doug and Sandy Holmes, and Christina Quirk Peterson as well as many Cape Cod Sea Camps year round staff -and dogs!. I hope that you can come and be a part of our 19th Annual Cape Cod Sea Camps Leadership Weekend!